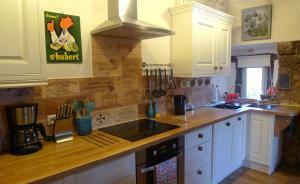 Featuring a garden, Gites Limousin is a semi-detached holiday home set in Videix in the Limousin Region. Guests benefit from free WiFi and private parking available on site. The kitchen has a dishwasher and a washing machine. Towels and bed linen are featured in this holiday home. Other facilities at Gites Limousin include a barbecue. Limoges is 26 mi from Gites Limousin, while Angoulême is 29 mi from the property. 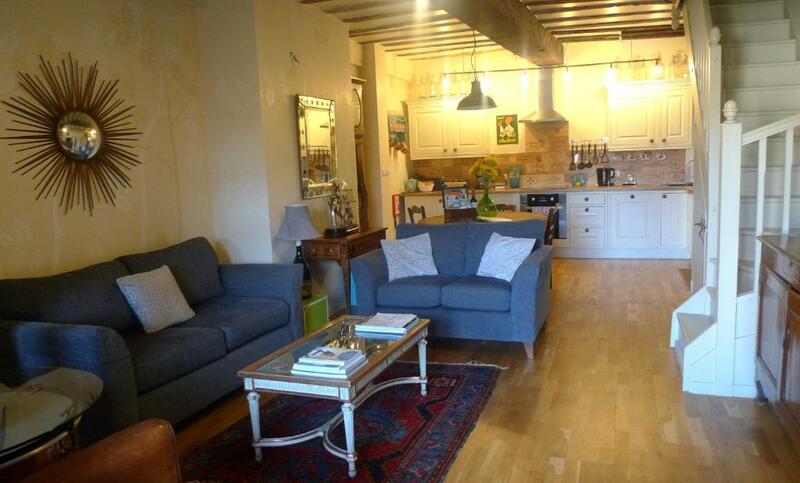 The nearest airport is Limoges International Airport, 22 mi from Gites Limousin. 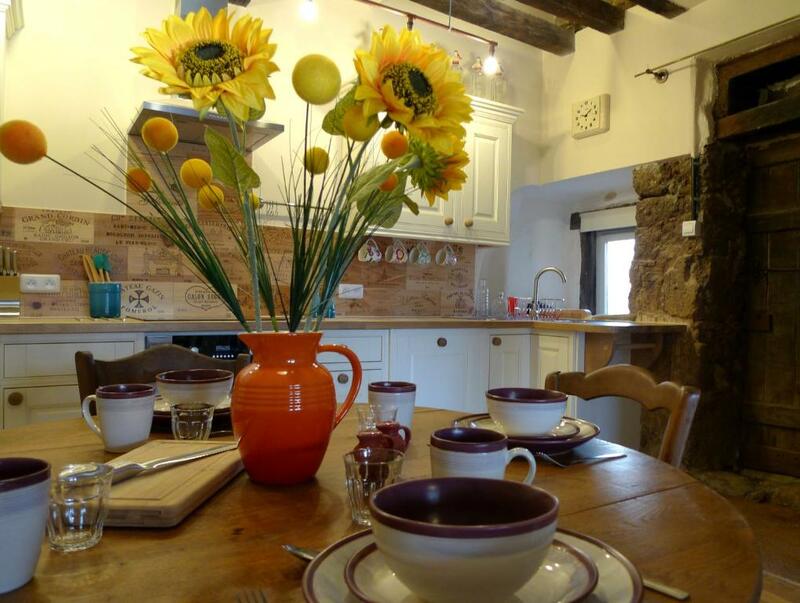 When would you like to stay at Gites Limousin? This holiday home has a kitchen fitted with a microwave, toaster, kettle and coffee machine. There is a private bathroom on each floor. The gites have been lovingly restored to combine the old and the new in both the building and the decoration; carefully furnished throughout with antique pieces to give a unique and quirky feel. 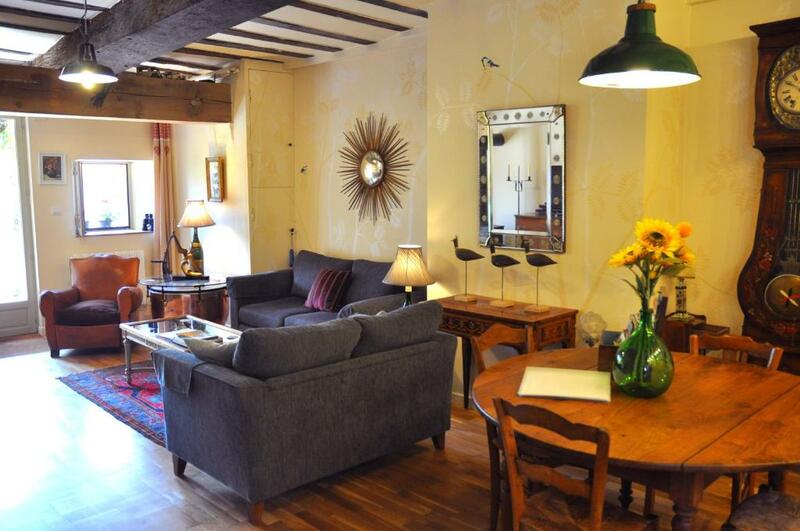 To make you feel at home, we have included many “creature comforts” and “mod-cons” to ensure that you have the most relaxing, yet comfortable stay here in rural France. There is free WiFi, a smart television and a DvD player with a few videos; as well as a wireless music dock. Laid out over 3 floors, the ground floor comprises of open plan dining, kitchen and lounge; the first floor has the double bedroom and bathroom, and the top floor has the twin room and shower room. You also have a private side garden with BBQ, and a private back patio for morning coffee and croissants. The main garden is simply laid out so that you can relax or play. We have provided a few facilities for our younger (or older) guests; and there are chairs and sun loungers that can be moved around the garden to catch the sun or shade as preferred. All you need is a good book and a long, iced drink as you simply relax and unwind in this idillic location. There are just the two of us, my husband and myself, and our three cats who you will see running about the place no doubt causing mischief! Our main interests are nature, wildlife, and antiques. We love walking and cycling (and swimming in the summer) which is great because we are in the midst of one of the most beautiful areas of rural France. We have learnt never go out without a camera because the wildlife here is just beautiful; and many animals and birds are quite visible due to the peaceful surroundings; we have been lucky enough to capture some wonderful photos. In the summer we have made it a rule that come 4pm we stop what we're doing and head down to the lake for a swim (5 min drive / 30 min walk) followed by perhaps a small beer (the little beachside Bistro opens for the summer months only) and if Im lucky, an evening meal whilst watching the sun set over the lake. We cant let our guests be the only ones enjoying themselves! This is a beautiful, unspoilt area of rural France. Walking and cycling are wonderful ways to see the countryside; nature is all around you and you will be spoilt for choice with the different types and species of flaura and fauna on the doorstep. We are also blessed with a beautiful swimming lake not 30 min walk / 5 min drive away. The lake has a man-made beach area with lifeguards and a Bistro cafe in the summer months; there are also pedalos and a small children's play area. On the other side of the lake there is another beach area with similar Bistro cafe along with a nautical centre where you can hire kayaks, paddle-boards and small sail boats etc. Dependant on your interests you can choose from visiting chateau, historic towns, rambling ruins and museums to partaking in activities such as adventure parks, velo-rails, water parks and water sports. Mustn't forget, there are two golf courses and plenty of fishing to be had; that coupled with going to the weekly markets, one week just doesn't seem long enough! A car is essential, our nearest town is 10minutes away and there are no shops or restaurants closer, which is one of the charms of this location. 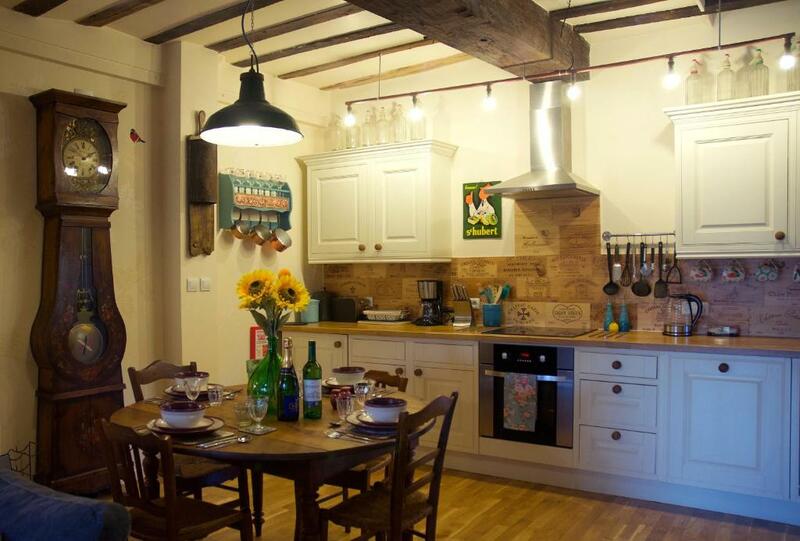 House Rules Gites Limousin takes special requests – add in the next step! A EUR50 damage deposit is required on arrival (around USD56.27). This deposit will be fully refunded at check-out, as long as there isn't any damage to the property. Please inform Gites Limousin of your expected arrival time in advance. You can use the Special Requests box when booking, or contact the property directly using the contact details in your confirmation. A damage deposit of EUR 50 is required on arrival. That's about 56.27USD. This will be collected as a cash payment. You should be reimbursed on check-out. Your deposit will be refunded in full, in cash, subject to an inspection of the property. We need at least 5 reviews before we can calculate a review score. 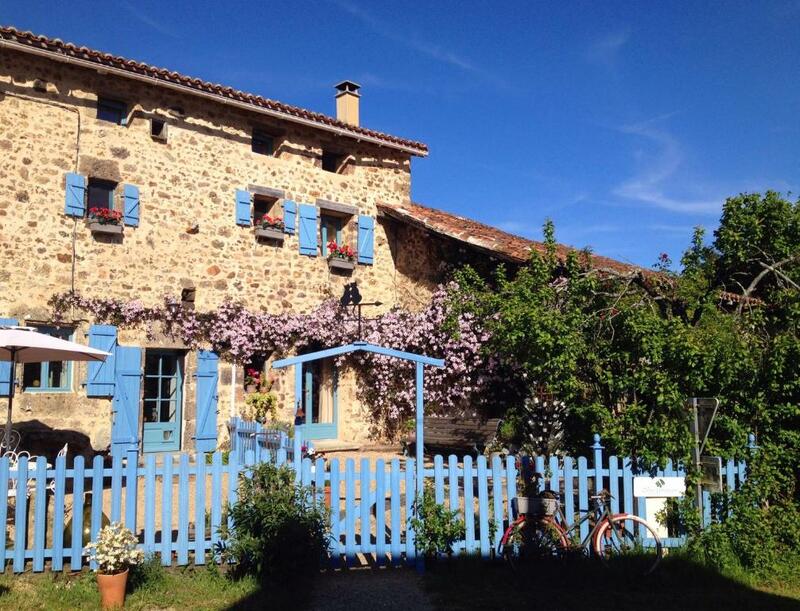 If you book and review your stay, you can help Gites Limousin meet this goal.